James Matthews was born on 25 May 1929 in District Six in Cape Town, to working class parents. After completing standard seven, Matthews began to work and held a variety of jobs, including newspaper boy, office messenger, clerk and telephonist. However, for Matthews, the lure of words and the art of expression were fundamental to his being, and his first writings were published in 1946 at the age of 17. Soon he found himself working as a journalist, and over the years, Matthews contributed to many national newspapers such as the Golden City Post, The Cape Times, Drum, and later to the independent community newspaper, Muslim News. He was inexorably drawn to creative writing and poetry, even at great cost to himself. Through short stories, Matthews explored the issues, dilemmas and the world of the working class in Cape Town and the townships, sprawled across the Cape Flats to which black people were forcibly removed. 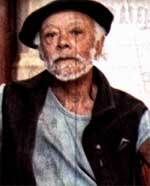 Having witnessed the profound impact of poverty, exploitation and racism on the psyche and outlook of the oppressed, Matthews became, through his poetry, a leading articulator of the Black Consciousness philosophy which propagated the notion of self-reliance to counter the insidious de-humanisation of black people. His first published collection of poetry Cry Rage (co-authored with Gladys Thomas and published in 1972) became the first collection of poetry to be banned by the Apartheid regime, and most of Matthews’s later publications were banned as well. In 1976, Matthews was himself detained at Victor Verster prison near Paarl in the Western Cape and was repeatedly denied a passport. Matthews was determined to pursue his chosen path as an independent thinker, writer and cultural worker despite official repression and harassment. His brand of political writing powerfully articulated the demands and longing of South Africans at the height of apartheid repression. A keen sense of purpose led him to establish the first black-owned art gallery in Cape Town, and to set up his own publishing house, BLAC, an acronym for Black Literature, culture & society. Even though Matthews’s poetry, short stories and novel were read across the world and he was recognised as a major writer and poet, years of enforced isolation cut him off from his readership. Deprived of the commercial success that should have been his due, Matthews’s life was one of financial hardship and poverty. Matthews is an exceptionally gifted intellectual whose commitment to political and social justice and demanding litérature engagée is only surpassed by his humility and fierce independence. His art gallery and publishing house – though financially unsuccessful – were significant symbolic blows against the enforced cultural desert of apartheid. It provided the indispensable, albeit short-lived space for true artistic and literary expression, which served as the launch-pad for the continuing development of South African writing. Matthews was elected patron of the Congress of South African Writers at its inception in 1987, and received the freedom of Lehrte and NÁ¼rnberg (both in Germany). Matthews has also read and lectured at several German Universities, and was awarded an Honorary Fellowship in Writing from the University of Iowa in the USA. In 2000, Matthews established Realities, a new publishing house to follow his dream of creating a publishing vehicle for South African writers. Matthews still lives on the Cape Flats, where he continues to give readings at local high schools. Matthews was recognized for his excellent achievements in literature, his contribution to journalism and his inspirational commitment to the struggle for a non-racial South Africa at the National Orders Awards in October 2004.